For episode 4 NOOB & WEEB try Grape Ramune and Green Tea kit kat. 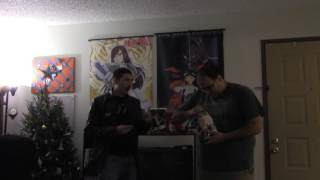 WEEB makes NOOB open his first Ramune. Lets just say it doesn't go well. See how they react and describe these wares. Find out if these Japanese snacks are a BUY, Try, or pass.